These tear-away flag sets are the perfect addition to any organized or recreational flag football team. 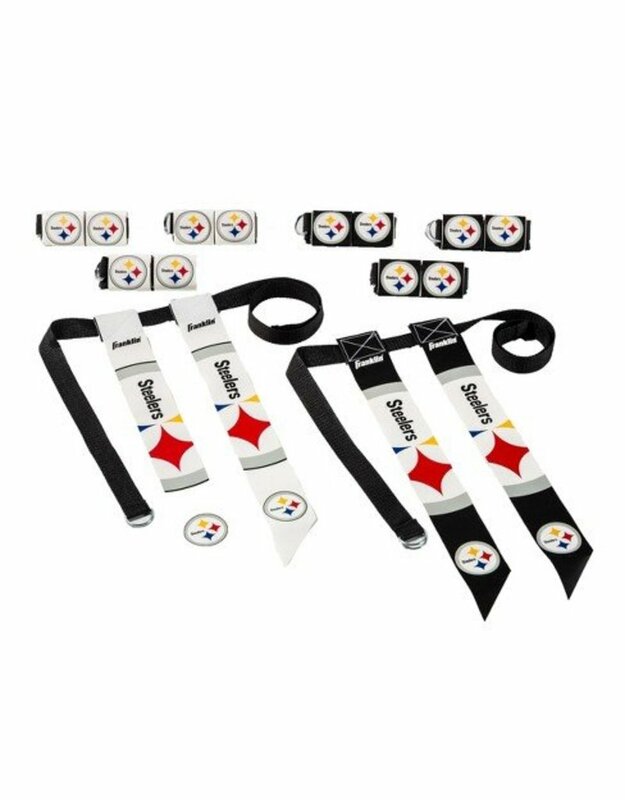 Each set outfits 8 players for 4-on-4 play and includes 8 adjustable belts, each with 2 flags. The flags come in home and away colors, and easily tear away when pulled. Whether playing with friends in the backyard or competing in a league, these flags sets are all you will need to take the game to the next level! Support your team and get out there and play!